Well December passed as fast as it came and now I find myself in 2011 with a lot of catching up to do so I can wrap up the old year and move into the new. I've been hearing some rumblings from a certain town in Indiana requesting some updates. Well Indiana family don't forget I have a comment section for encouragement...It always feels good to know your reading. The last I left you was on the Baby’s Birthday! 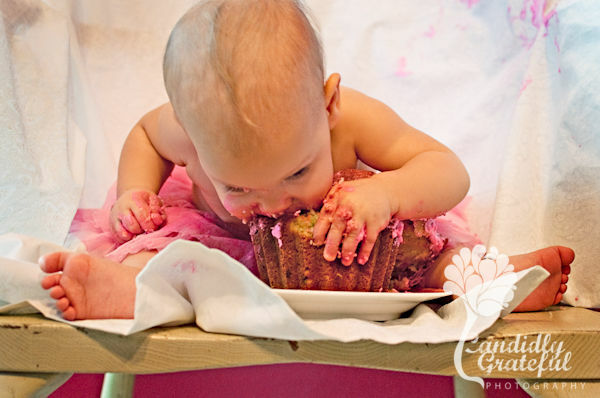 It was a "smash" of a party and the babies loved smashing into that cake. 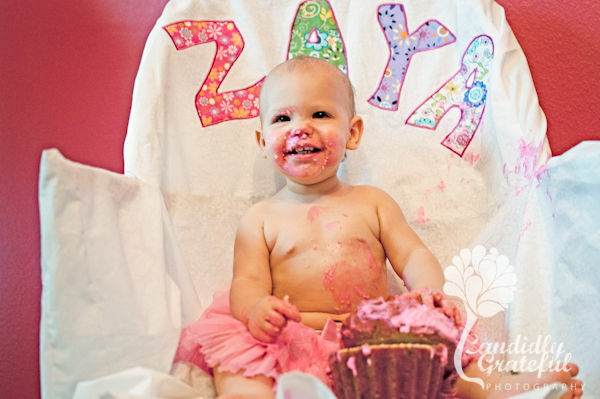 Zaya went after that huge Cupcake with Gusto. She made Mama proud! 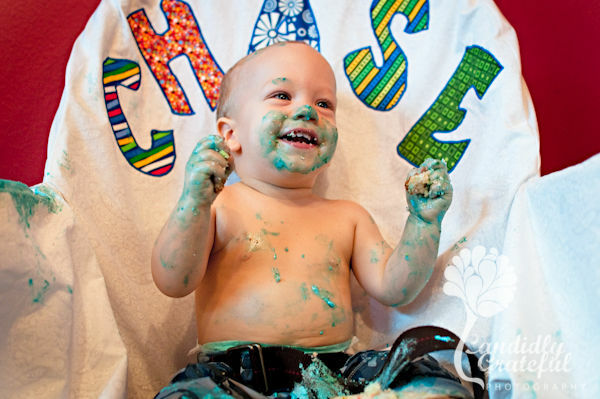 Chase enjoyed all the people and showing everyone how messy he was aloud to get! He made Daddy proud! It was such a fun day! I still can't believe how fast a year goes by when you've got two little ones to think about. Today I'm grateful you are all giving me grace to do some catching up. Even if your not It's my blog so I guess I can give myself grace. Check back for more catching up this week.